Phil, a Senior Associate with Calcagni & Kanefsky, focuses his practice on white collar criminal and regulatory defense. Phil has broad experience navigating a wide range of high-stakes matters at both the trial and appellate level. Before joining Calcagni & Kanefsky, Phil served for nine years with the Manhattan District Attorney’s Office, Appeals Division, where he briefed and argued all types of criminal matters involving fraud, large-scale thefts, and long-term complex investigations. Phil began his career at the District of Columbia Court of Appeals, the highest court for the District of Columbia, where he clerked for the Senior Judges on the Court and the Honorable Michael W. Farrell. Representing a high-profile international financier in a bank fraud investigation conducted by the Manhattan District Attorney’s Office. Defending a licensed healthcare provider in an assault-for-hire prosecution by the U.S. Attorney’s Office. Fluent in French, Phil earned a Certificate of Political Studies from l’Institut d’Etudes Politiques de Rennes (France), where he completed French and international politics courses taught exclusively in French. 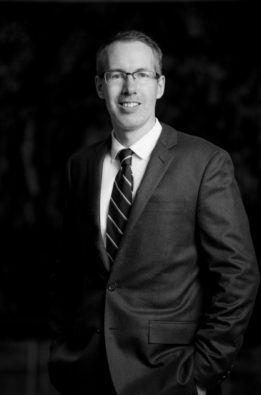 Phil has a long commitment to pro bono work, having served as the Treasurer of the Ohio State Public Interest Law Foundation and as a Research fellow with the Ohio State Pro Bono Research Group.